We sustain over 70 church communities across the island of Montreal, the Laurentians, the South Shore and part of the Eastern Townships. Our Diocese provides financial support and resources to organizations such as Mile End Mission, Tyndale-St-Georges Community Centre and Action Réfugiés Montréal. We also train and equip clergy who are tasked with meeting the spiritual and emotional needs of their congregations. The emphasis of these relationships is support through prayer, outreach and meaningful liturgy that can impact the community at large. Our goal is to continue to provide opportunities for worship that nourish people and allow for deepened relationships to God, community and self. Please give generously as your donation will allow us to continue to build Gods’ Kingdom in magnificent and mysterious ways! Jesus answered them, ‘Very truly, I tell you, unless a grain of wheat falls into the earth and dies, it remains just a single grain; but if it dies, it bears much fruit. Those who love their life lose it, and those who hate their life in this world will keep it for eternal life. Whoever serves me must follow me, and where I am, there will my servant be also. Whoever serves me, the Father will honour’. 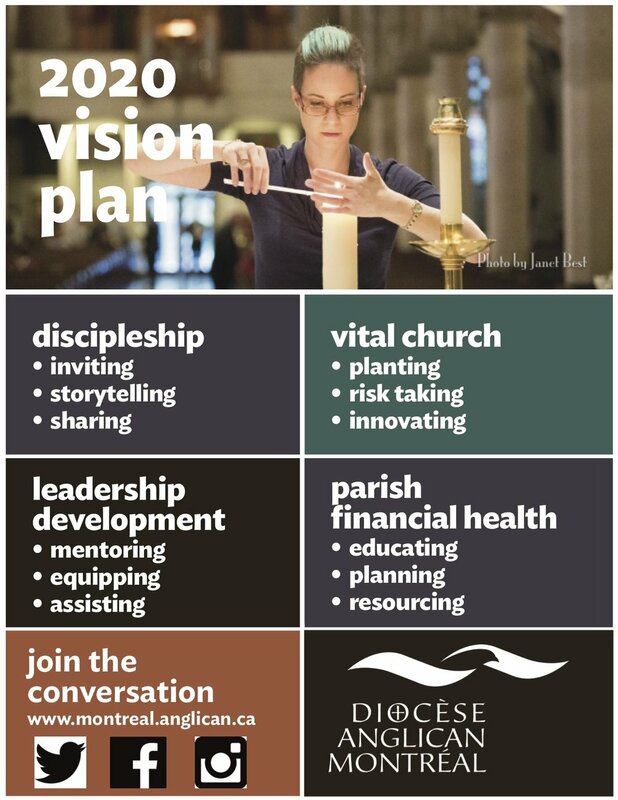 In partnership with other Anglicans around the world, our vision is guided by the Marks of Mission. Rooted in our Anglican identity and heritage, these are core activities of the church yesterday, today and tomorrow. To download the full Mission Plan, click here.